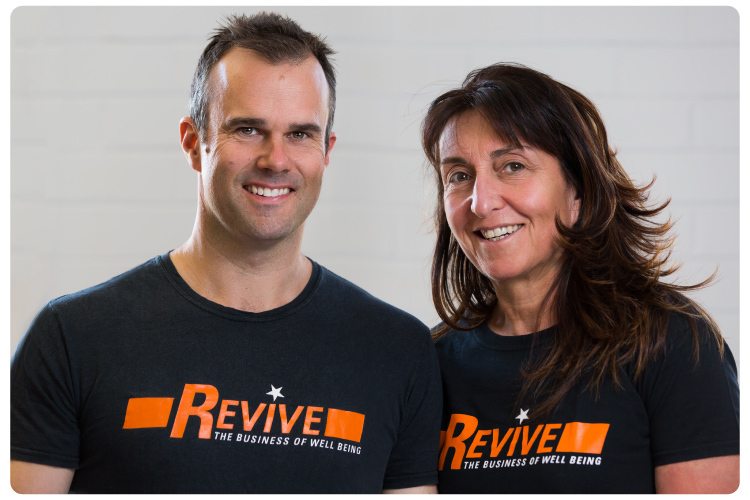 Revive – The Business of Well Being, is owned and run by its personal trainer founders, Lily Rychter and Dan Dixon. Lily and Dan met on a plane to the US in 2000. In what turned out to be a fated meeting, they were seated next to each other and didn’t stop talking for the entire 15-hour flight to LA. And they haven’t stopped talking since. Inspired by Lily’s own story of personal transformation her passion and energy for fitness and wellbeing, Dan contacted Lily when he returned from his trip and worked with her until he too created the body and life he’d always wanted. He was so convinced of the benefits of a holistic approach to health and wellbeing that he also completed the Personal Training Course, undertook various jobs in the industry, and joined Lily. In 2002 Revive was born!